Journalists need support now more than ever, which is why this news is such a big deal. 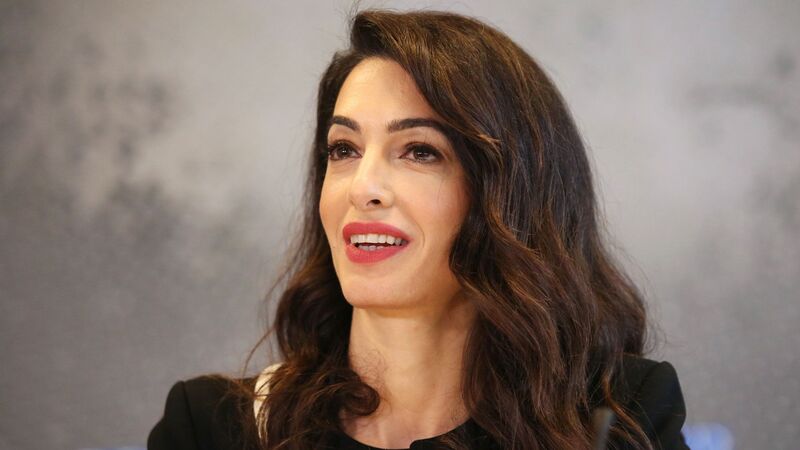 On Friday, British Foreign Secretary Jeremy Hunt appointed international human rights lawyer Amal Clooney as his special envoy on media freedom, which will build on her current work and will further the UK’s efforts to defend freedom of the press throughout the world. Amal and the panel of legal experts will work on a pro-bono basis, which opens the door for journalists across the world to seek help even if they do not have the funds to pay. It’s a smart move, especially considering that the availability of journalism jobs continues to decrease and those who are journalists are at increasing risk of violence and even death. Clooney’s name has been in the news even more frequently as of late, thanks to her and her husband George Clooney’s close relationship with Meghan (née Markle), Duchess of Sussex, and Prince Harry, Duke of Sussex. The pair are reportedly in the running to be named godparents to Baby Sussex and Clooney even co-hosted Meghan’s baby shower in New York City. Clooney and Meghan have been friends for some time, tied by their interests in global human rights. Like we said: there’s no one better for this job than Clooney.